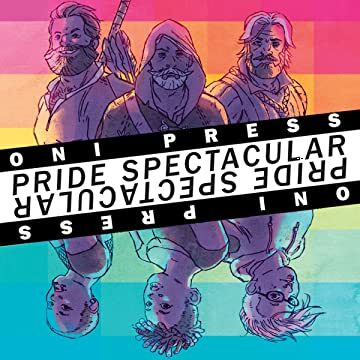 Oni Press presents the Oni Press Pride Spectacular, featuring previews of three LGBT-friendly Oni Press titles. The first is Merry Men, a historical retelling of the Robin Hood legend. Prince John has outlawed homosexuality in 13th century England. Robin and his band of merry men live in Sherwood Forest, far from John's watchful eye. 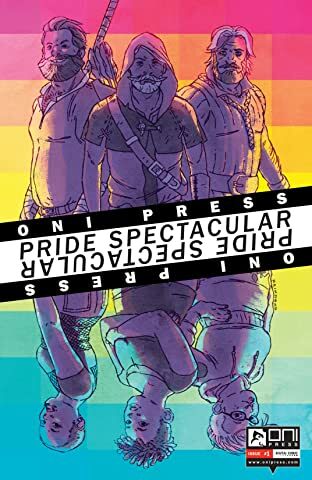 Though isolated, the men live in peace–that is, until a stranger approaches their camp asking for aid to a nearby town under siege by the Sheriff of Nottingham. The second is Wet Moon, the graphic novel series by Jem and the Hologram artist Sophie Campbell! An unusually usual day-to-day story in the Deep South, set in the gothic, swampy southern town of Wet Moon, a place fraught with lousy love lives, teen angst, and shadowy rednecks. And the third is a sneak peek of Katie O'Neill's Princess Princess Ever After, available this September! Join Sadie and Amira, two very different princesses with very different strengths, on their journey to figure out what "happily ever after" really means--and how they can find it with each other.